Speaking of specifications, its biggest feature is its dual display, which is 6.26 inches and 5.1 inches. The primary display is 6.26 inches full-HD + (1080x2280 pixels), while the secondary display is 5.1 inches HD + (720x1520 pixels) and the Corning Gorilla Glass 3 is equipped. Snapshot 845 processor has been given in this phone running on Nubia UI 6.0.2 custom OS, based on Android 8.1 Orao. It has been introduced in 6 GB and 8 GB RAM variants. At the same time 64 GB, 128 GB and 256 GB internal storage has been provided, which does not have any support for MicroSD card. Speaking of the camera, the smartphone has dual camera setup. With primary sensor of 16 megapixels and F / 1.7 aperture with F / 1.8 aperture, 24-megapixel secondary sensor has been given. No front camera has been given in the phone. But behind the display, selfie can be taken. The battery of the phone is 3,800 mAh, which supports Quick Charge 3.0. For connectivity, features like 4G VoLTE, Wi-Fi 802.11 A / B / G / N, Bluetooth 5.0 and USB Type C port have been provided. 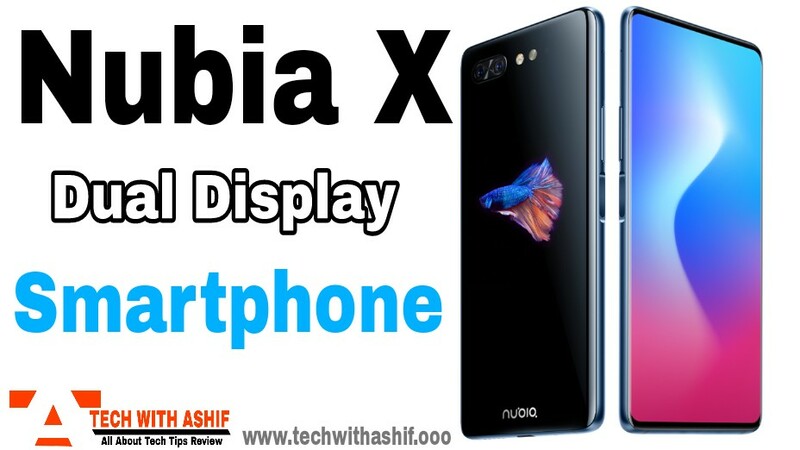 Dimensions of Nubia X are 154.1x73.30x8.4 millimeters and weight is 181 grams. Nubia X's 6 GB RAM / 64GB storage variant is priced at 3,299 yuan (about 35,000 rupees) and 8 GB RAM / 128GB storage variant worth 3695 yuan (around Rs 39,200). Its 8 GB RAM / 256GB storage variant will be available at 4,199 yuan (about Rs 44,500).